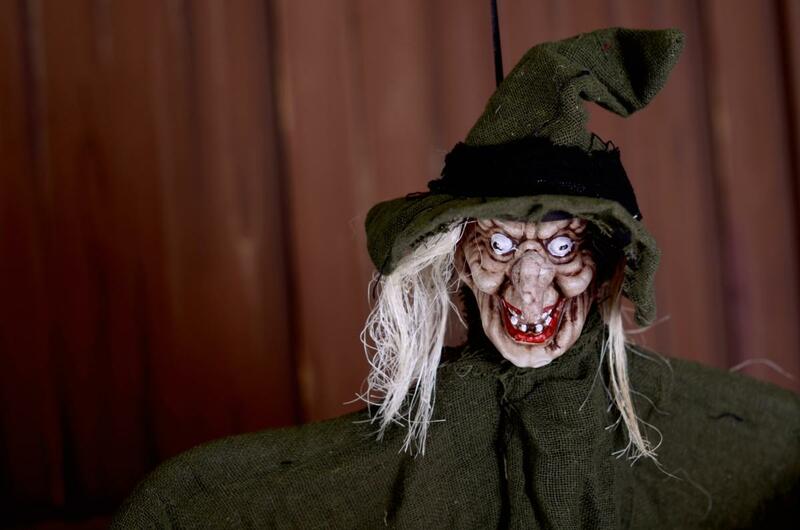 Terrifying hanging decorative witch. 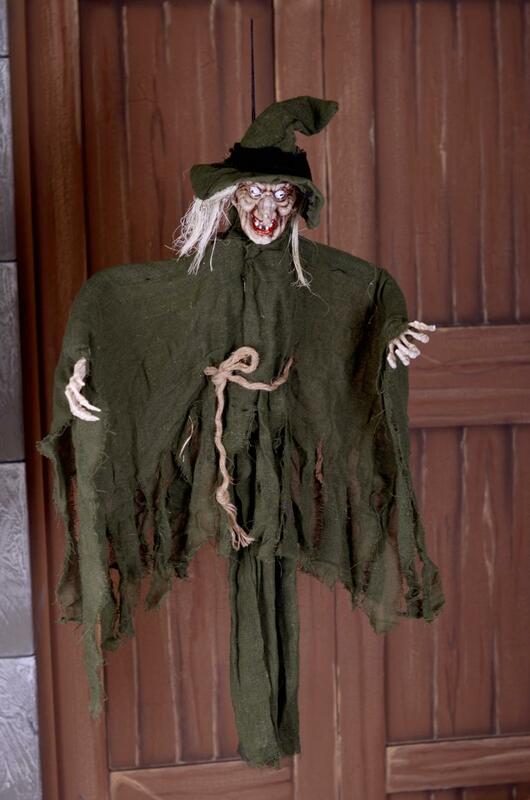 This product is ideal to decorate all kinds of Halloween sessions, both in-studio sessions and outdoor sessions. Color: white, black and green.